This is possibly, actually it is the worst mascara I have ever used. At 4.99 I shouldn't really complain but money is money and we all work hard for it. I will say I gave it a good go and used it continually for a month as I wanted to give it the benefit of doubt but I really didn't like it and it just ended up in the bin. 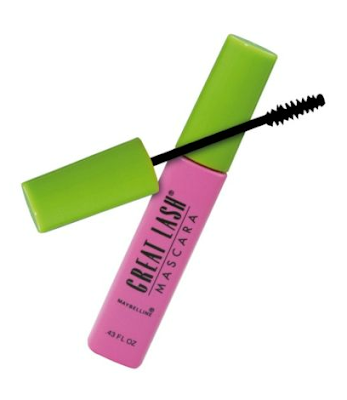 Great Lash has been described as a classic, but I can't see what's so classic about this mascara - classically rubbish is what I say! The formula was quite wet which I personally don't mind however pigment wise it wasn't black enough for me. The wand is nothing special and although it separated my lashes well, it didn't add any length or volume to them. The mascara simply coated my natural lashes - I needn't of bothered putting any on in the first place! Overall this mascara did nothing for my eyes and was a complete waste of money - a very disappointing product. Sorry for the lack of photos. At the time I didn't take any - not that you would notice any difference, so this post is very short and sweet. Has anyone tried Great Lash? If so what are your views on it? Hey, interesting review! Iv bought this couple of times over the years considering its rep.. It separated my lashes well n made my eyes look bit more awake which i.spose I was after, more subtle effect but not really a mascara to add oomph to ur look. I imagine theres far better ones for volumising. Def be trying out the cat eyes mascara sometime - been meaning to!